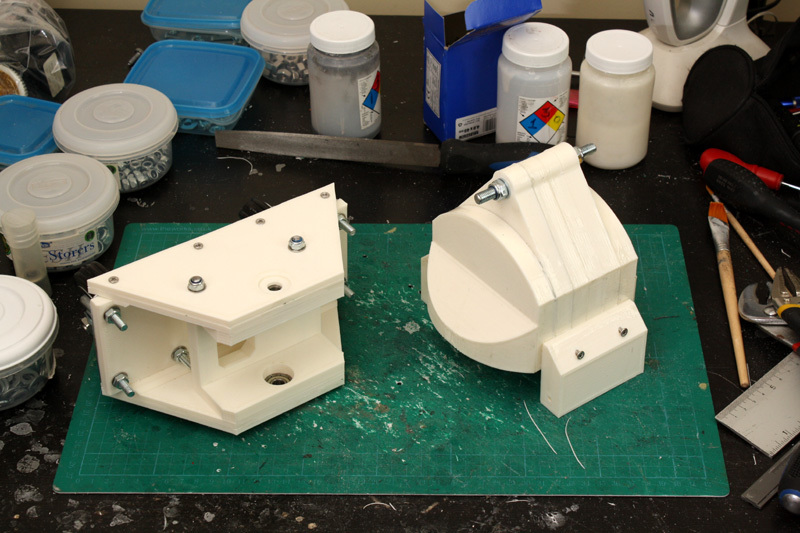 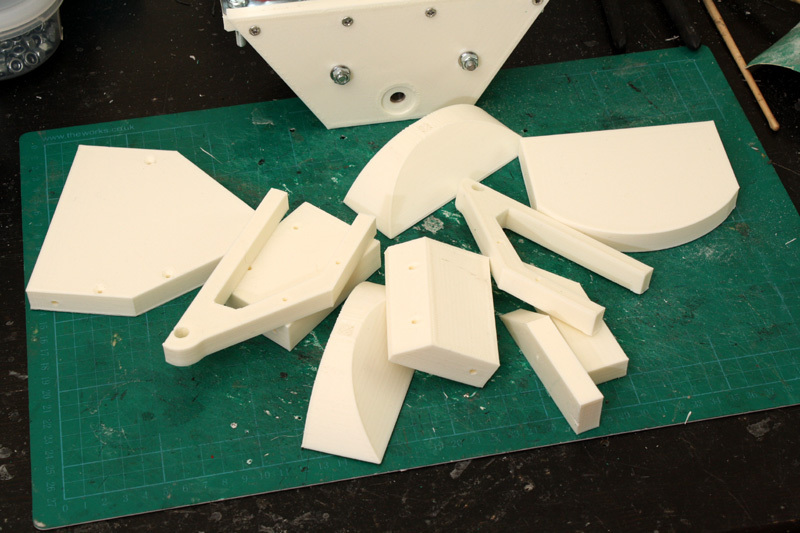 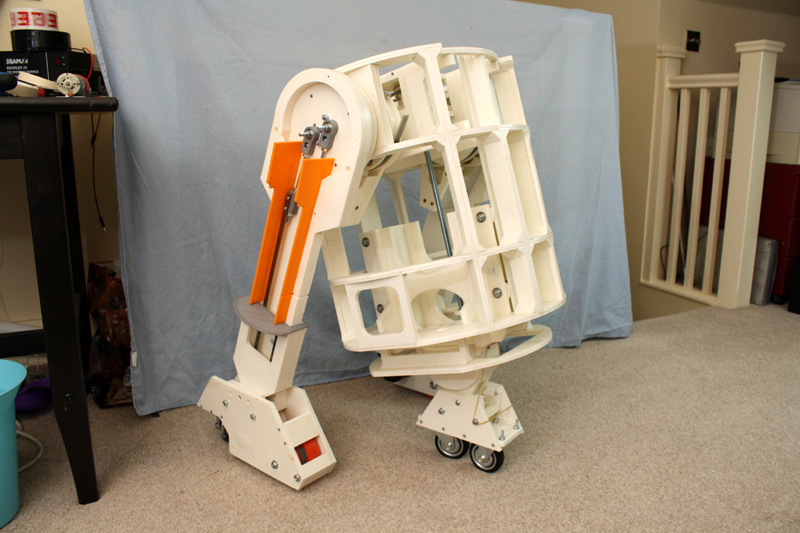 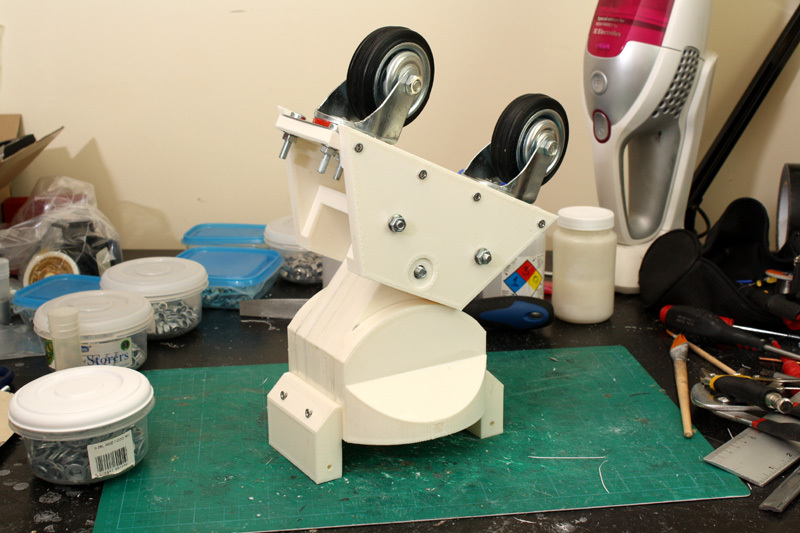 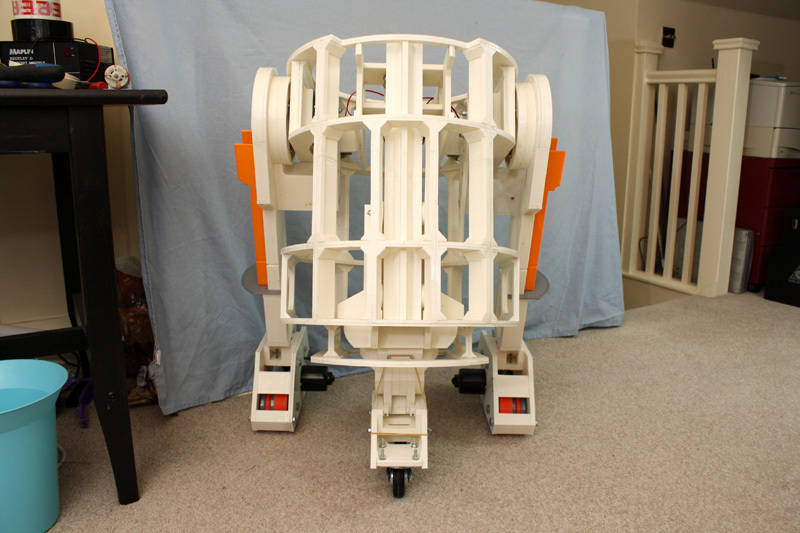 This page is about the 3D Printed Centre Leg & Foot, check out the main project index for the rest. 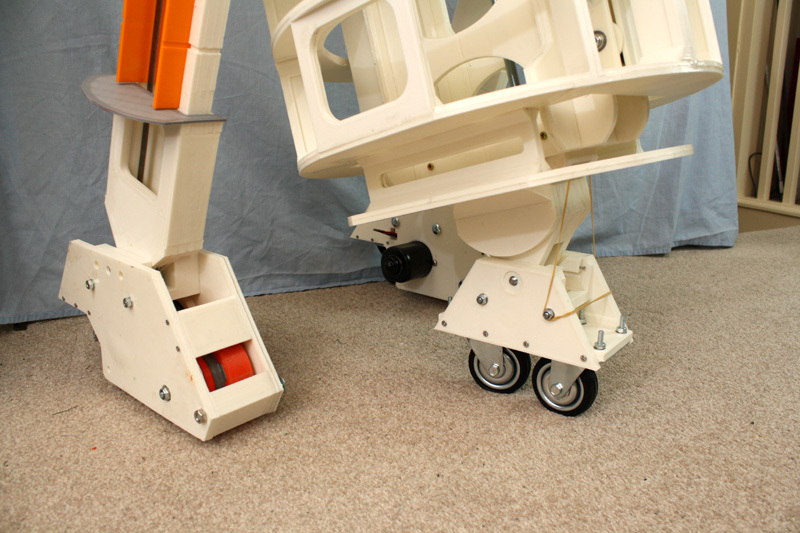 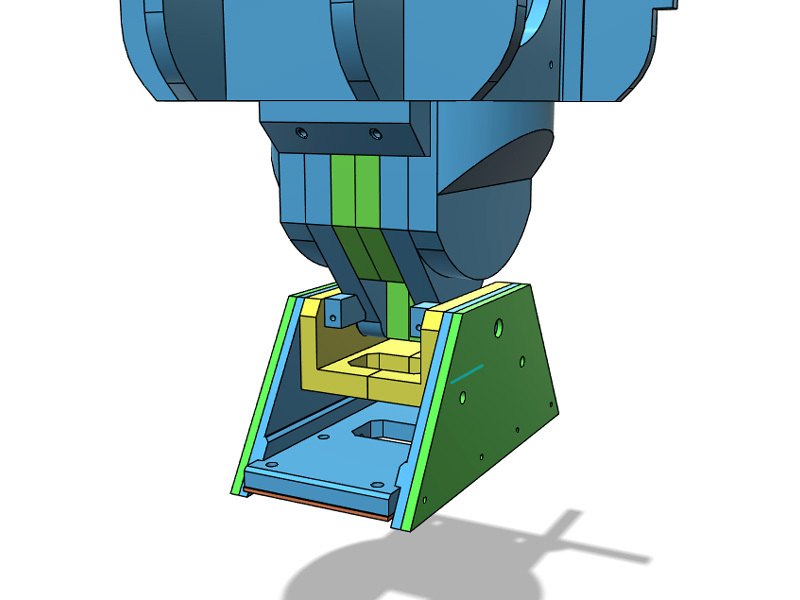 The centre leg and foot attached to the mechanism to make it extend and retract. 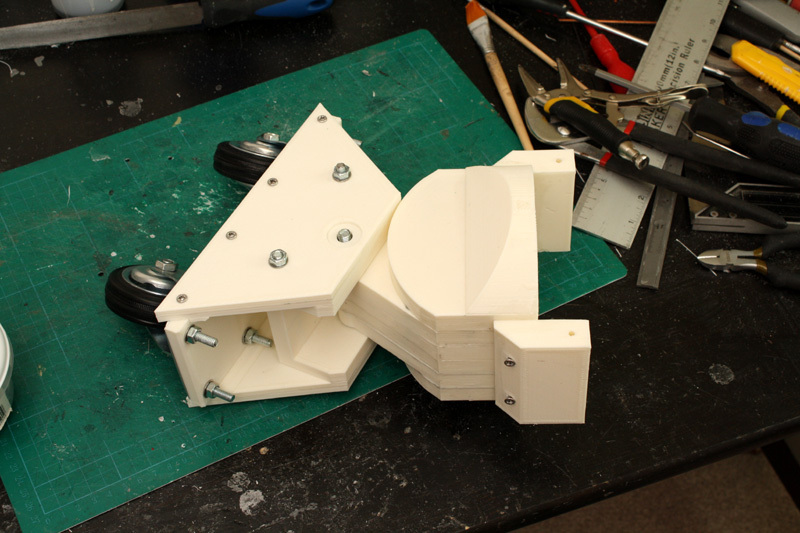 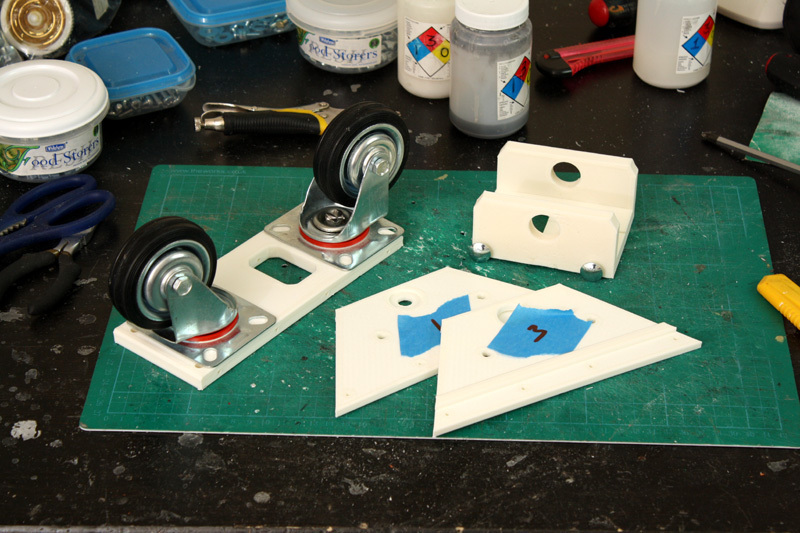 It will also need to hinge as the droid finishes the conversion process. 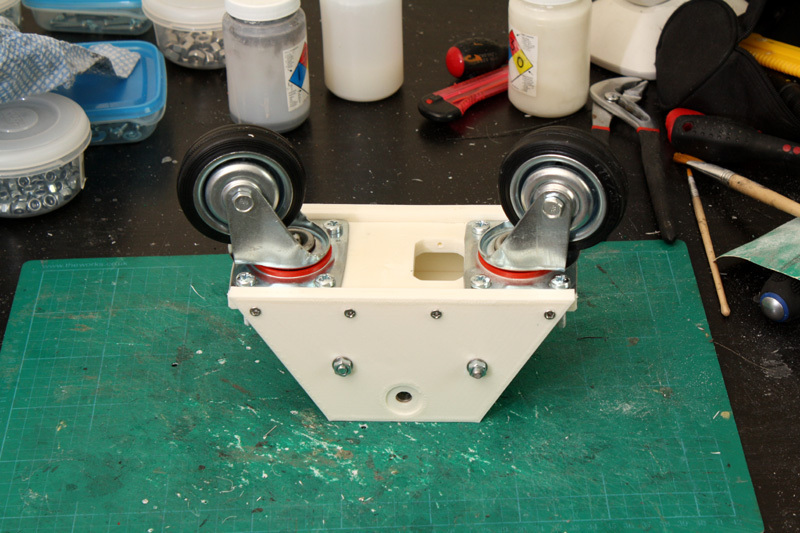 I’ve made the hinge point wider than it should be so that it’s much stronger. 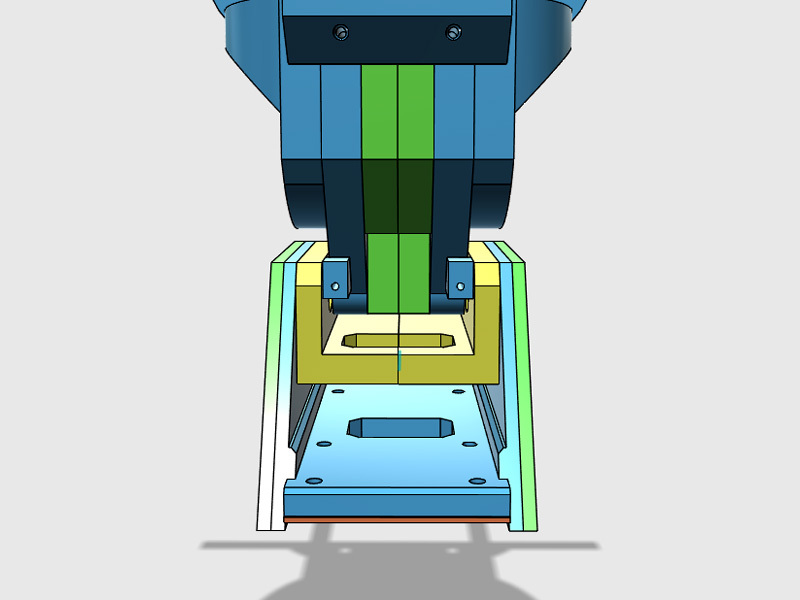 The hinge point is mounted on bearings.